VirusTotal (Android) - Keep malware off your device! 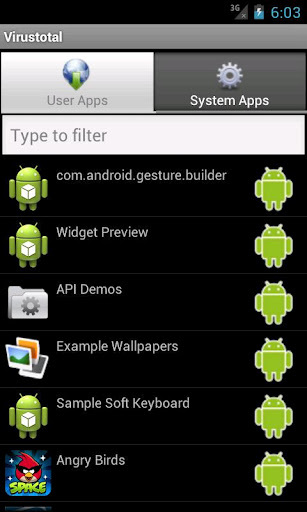 ~ Android Forever! VirusTotal (Android) - Keep malware off your device! There have been a few malware apps that have found their way onto Google play, so it makes sense to protect yourself and your device. 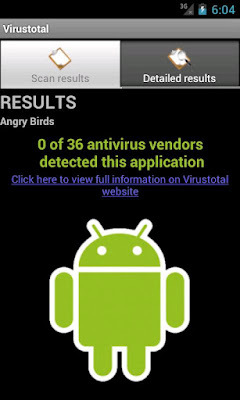 This app helps protect you by checking your installed apps against a comprehensive list at www.virustotal.com. You can also upload a suspect app to have it scanned by more than 40 antivirus scanners. VirusTotal is FREE on Google play!